If you’ve been seriously injured in a road accident in NSW you’ll want to know how to make a personal injury compensation claim. In this article we look at some of the main things you need to know about making a claim. If a person is injured or killed in a road accident in NSW, then the police must be notified within 28 days of the accident. The police will provide the caller with an event number, which is important for making a future claim. The number to call to report an accident is 131 444. If you are injured in a road accident in NSW you may be able to claim early benefits of up to $5,000 for medical treatment and loss of earnings regardless of who was at fault for the accident. This can be done by lodging an accident notification form with the relevant insurer. There are strict time limits for certain steps along the way to making a compensation claim. A formal claim for personal injury compensation should be lodged with the CTP insurer within six months of the accident. Making a formal claim is a complicated process and an experienced compensation lawyer can help you get the result you need. A lawyer can also help if the insurer disputes your claim. details about your loss of income and out of pocket expenses. An expert motor vehicle injuries lawyer can help you gather all the evidence you need to support your compensation claim. The NSW government has recently introduced new legislation that changes the way compulsory third party (CTP) insurance works in the state. The changes don’t currently have a definite start date but they are likely to commence before the end of this year. Compensation takes the form of weekly payments for loss of earnings, medical treatment and funeral expenses. Maximum compensation will be set at 2.5 times the average weekly wage – currently $3,853. Claims must be made within three months of the accident. ‘Minor injuries’ include ‘soft tissue injuries’ and ‘minor psychological or psychiatric injuries’. Not available for people suffering from ‘minor injuries’. Non-economic loss only available for permanent impairment over ten per cent. Making a compensation claim is a complex task and speaking to an expert lawyer early in the process can help you get the best possible result. If you need to speak to a lawyer about making a personal injury claim in NSW, then be sure to give us a call. 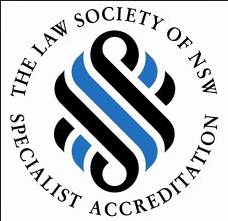 Our friendly experts at NSW Compensation Lawyers are here to help you rebuild your life.